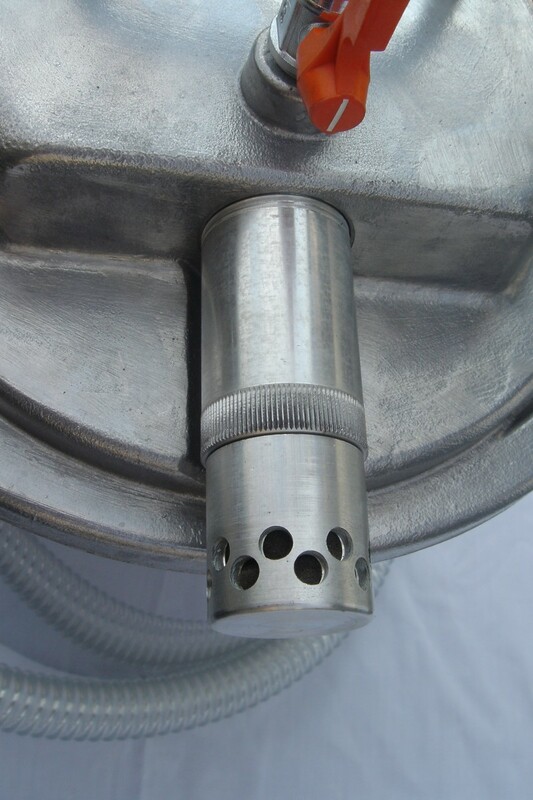 APPQO-H-i series | AQUASYSTEM CO., LTD.
Open Pail Can is not included. The transparent can is not for sale. Model: APPQO-H-i, APPQO-HG-i, APPQO-HAS-i. 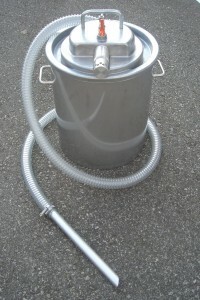 Uses typical open pail cans(Stainless type). Oil stopper is included – no worries about fluid overflow! 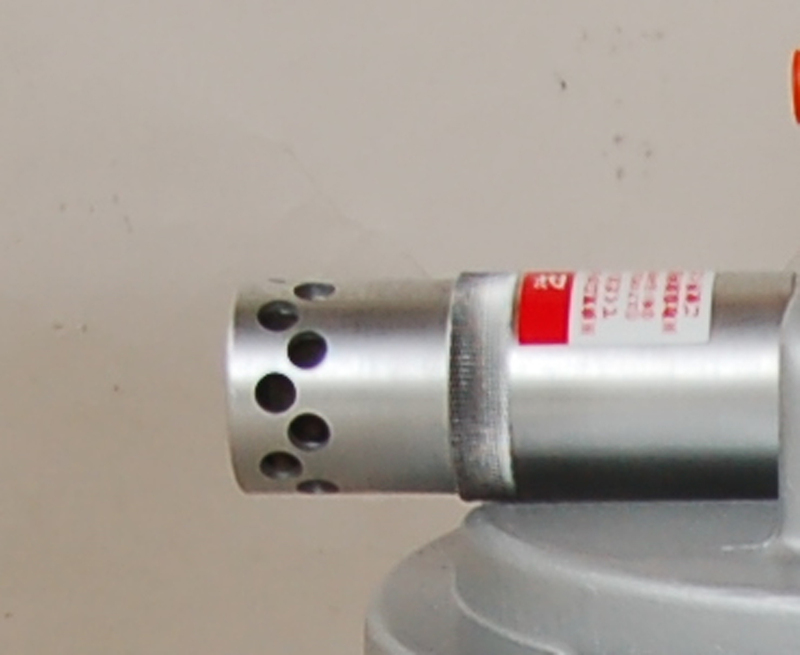 The pail cans (NOT included) used with this pump are in accordance with Japanese Industrial Standard (JIS). A 2 m long PVC Hose is also included. A compressed air source is required, as this device does not utilize electricity. The pump is air operated, so you can safely use it in hazardous areas. 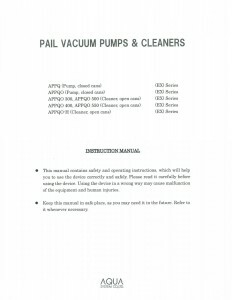 It is cheaper than electric models and much easier to clean. Automatic stop function (oil stopper included). Copes well with fluids of viscosity up to 5000 cP. Air (0.4~0.6 MPa) is let in. 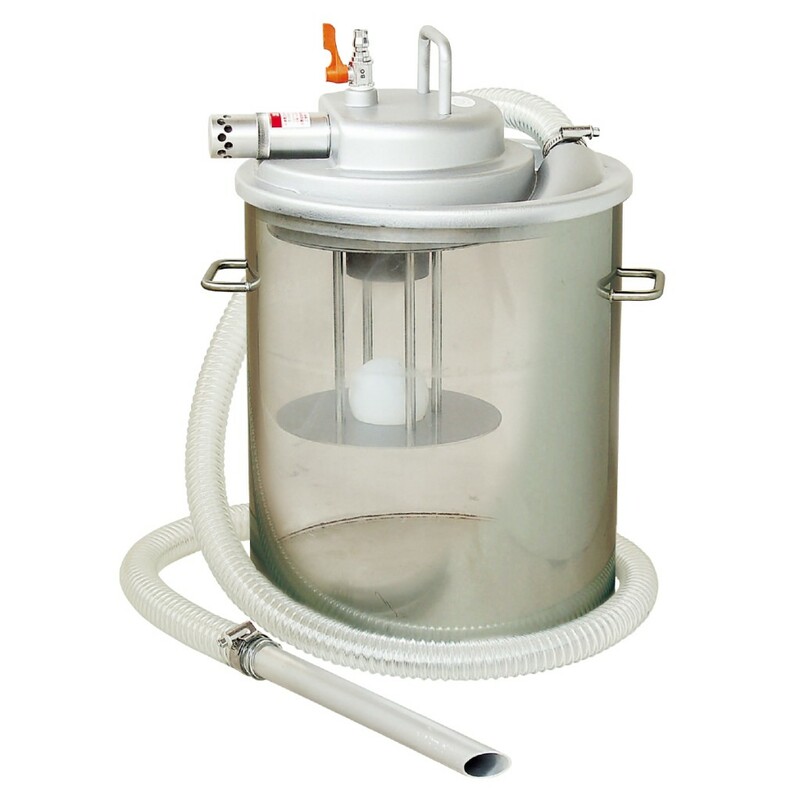 Instead of entering the tank, the air leaves the system through the ejector. Negative pressure occurs in the ejector, the air is sucked out of the tank. Negative pressure occurs in the tank, suction begins. The fluid is being sucked through the nozzle. The fluid fills the tank full. A float ball blocks the outlet. Suction stops.